Watching the bats fly from under the Congress Avenue Bridge in Austin. 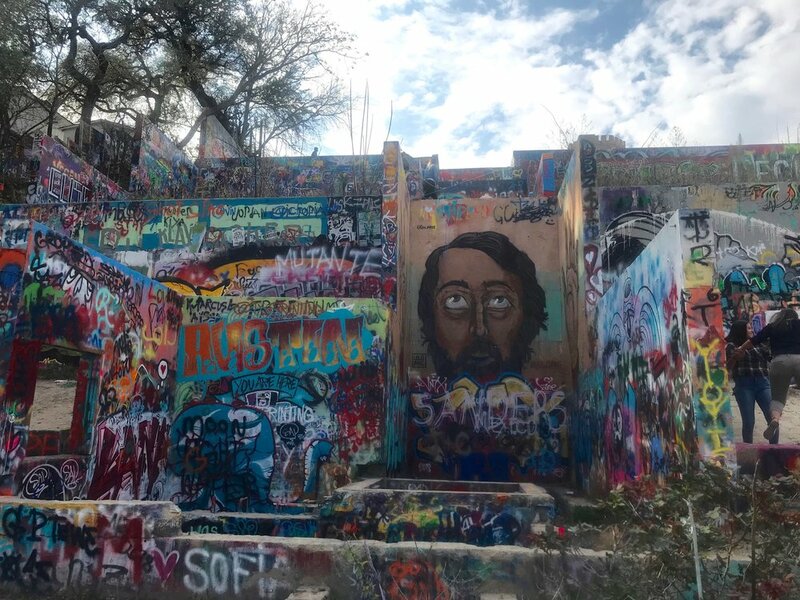 Austin's Graffiti Park - officially known as the Hope Outdoor Gallery - invites people to express themselves with spray paint. Janis Joplin and Willie Nelson, two Austin icons, keep watch over a downtown parking lot. Austin - When they rebuilt the Congress Avenue Bridge here in 1980, a strange thing happened. Some find it baffling that pollsters tend to find the strongest anti-immigrant sentiment in rural areas where there are relatively few immigrants. But it’s no mystery that immigration is more popular in places where more recent immigrants live. Once you’ve welcomed immigrants into your community - once your kids go to school with their kids, once you’ve come to rely on them at work, to get to know them as people - you’re less likely to want to see them treated badly. Deporting them, breaking up families and locking good people up seems cruel, no matter what the law says.